Oklahoma businessman Ben Kimbro, a Tulsa City Council member, is director of public affairs for Harvest Inc., a national medical cannabis operator based in Arizona. A representative for one of five companies awarded licenses to grow for Arkansas’ fledgling medical marijuana industry says the business will be ready to start cultivating and supplying the product early next year. 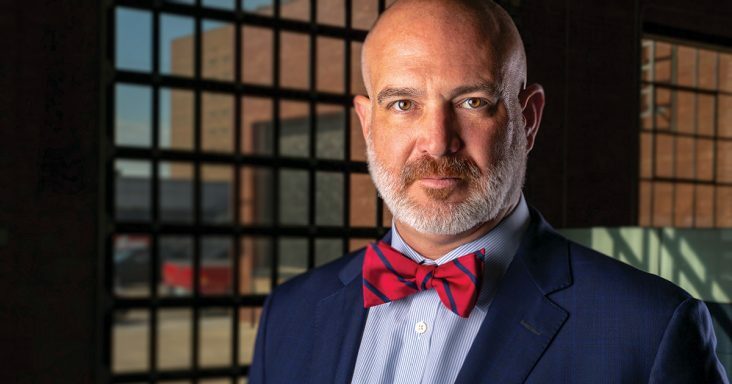 Oklahoma businessman Ben Kimbro, a Tulsa City Council member, is director of public affairs for Harvest Inc., a national medical cannabis operator based in Arizona. Harvest holds medical cannabis licenses in seven states. The company’s CEO, Steven White, has a small ownership stake in Natural State Wellness Enterprises, one of five Arkansas companies to be awarded a cultivation license. Other license holders are Natural State Medicinals Cultivation, Bold Team LLC and Delta Medical Cannabis Co., all based in the state’s Delta region. Osage Creek Cultivation is headquartered in Berryville (Carroll County) and registered to Jay Trulove, whose family owns Trulove Dirtworks. Messages left for Trulove and Osage Creek’s attorney, David Nixon, were not returned. Natural State Wellness Enterprises has assembled nearly 30 individuals to invest in the company — part of the application requirement was a $100,000 licensing fee and $500,000 performance bond — and the group plans to build its marijuana growing facility in Newport in Jackson County. Among the investors are former Arkansas Attorney General Dustin McDaniel and Johnny Allison, chairman of Conway-based Home BancShares Inc.
A constitutional amendment legalizing medical marijuana for 17 qualifying conditions and creating a state medical marijuana commission, was approved by Arkansas voters 53% (585,030) to 47% (516,525) in November 2016. But because of numerous legal and regulatory delays, it is unclear when the state’s newest industry will be fully up and running, and when sales of medical cannabis will actually begin. Kimbro said the slow burn is “frustrating,” but he respects the fact Arkansas lawmakers and policymakers are moving with caution when it comes to rolling out the new industry. Despite the uncertainty, Kimbro said Natural State Wellness Enterprises is staying busy with its business preparation. Kimbro said when construction is finished, Harvest employees will operate the facility and begin growing the product. Kimbro said Harvest has approximately 1,200 strains of cannabis in its seed library. For the plant to grow to maturity depends on which strain is used. It ranges between five and six months. The company’s growing operation will be under one roof in a building secured not only from a security perspective, but from pests and molds that are very specific to growing cannabis. Kimbro has been involved in licensing and policy implementation of medical cannabis in several states. Ironically, his professional background several years ago included doing a “considerable” amount of work in counter narcotics and combating narcotics-funded terror organizations. “It’s a pretty dramatic move across the spectrum for me in terms of my relationship and station in life working in medical cannabis,” he said. Before recently joining Harvest, Kimbro worked for Ross Group, a Tulsa-based construction, engineering and development company. He said a few years ago, the business decided to capitalize on the legalization of marijuana in other states by designing and building facilities for a partner with medical cannabis licenses. It was a noble intention that did not pan out as planned. “I’ve spent a lot of time out on the West Coast and meeting with folks in California, Washington and Oregon,” he said. “I quickly came to realize that if we can accept the notion that Ben Kimbro is the least patient human being you have ever met, cannabis growers on the West Coast might move at a slightly different pace. And furthermore, if you have worked for two or three decades as an outlaw grower, you don’t suddenly wake up one morning in a regulated environment and completely lose all your old habits. Kimbro said when Arkansas approved its medical marijuana amendment in November 2016, he went back to Ross Group leaders with a renewed interest to get involved in the industry. State officials have estimated sales of medical marijuana could be almost $40 million annually. Kimbro declined to say how much revenue a cultivation facility could generate, only that owners are going to get a very fair return. “It’s going to be some happy Arkansans,” he said. “Markets do define themselves, but there are consistencies. There are patient consumer behaviors that are consistent across 31 regulated states now.